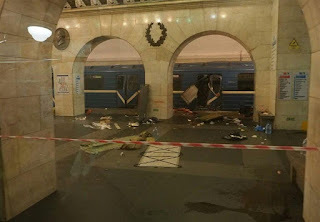 St. Petersburg metro may hire more security staff and buy new surveillance equipment after the recent terrorist explosion. TASS reports that some stations already have all the necessary modern equipment, including gas sensors, 24 stations have digital video surveillance systems. On April 3, a suicide bomber organized the explosion in St. Petersburg subway, killing 15, and dozens of others were injured.